Now everyone can enjoy the taste of scrambled eggs on toast, a healthy omelette or a homemade cake with VeganEgg! 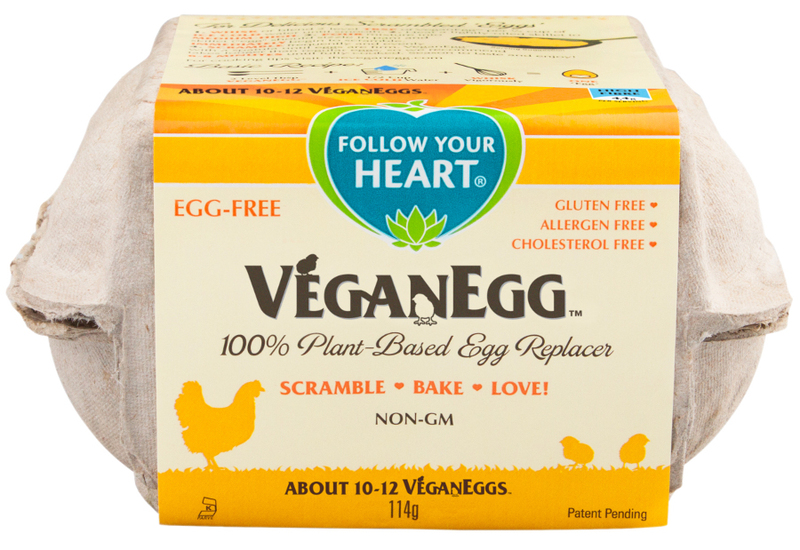 This plant based egg replacer can be used any recipe that calls for eggs, including quiche, omelettes and cakes, and with the same texture and similar taste to egg you can enjoy it scrambled on toast. 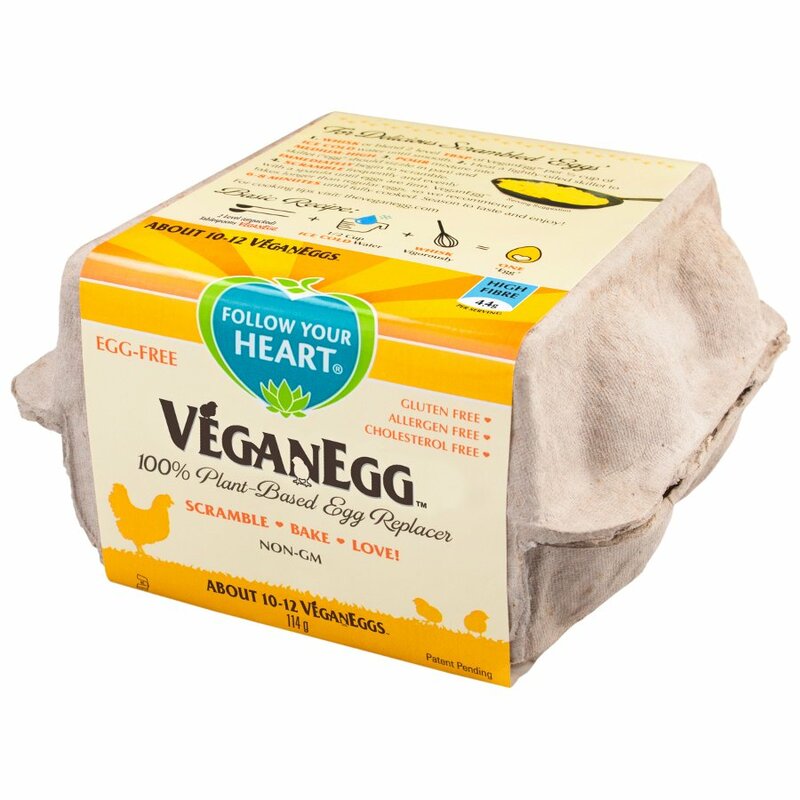 Simply add 2 level tbsp of VeganEgg to ½ a cup of ice cold water and whisk vigorously – then you have one ‘egg’! The VeganEgg is a much more sustainable alternative to real eggs, as it takes 52 gallons of water to produce one egg, which means 1 year of egg consumption in the U.S. uses 4.5 trillion gallons of water. 100 VeganEggs can be made with the same amount of water it takes to produce one regular egg! Now made with NON-GMO organic soy. Please note that while we strive to stock product with a long shelf life, this particular product may have a minimum shelf life of two weeks. For allergens please see ingredients in bold. Contains soy. 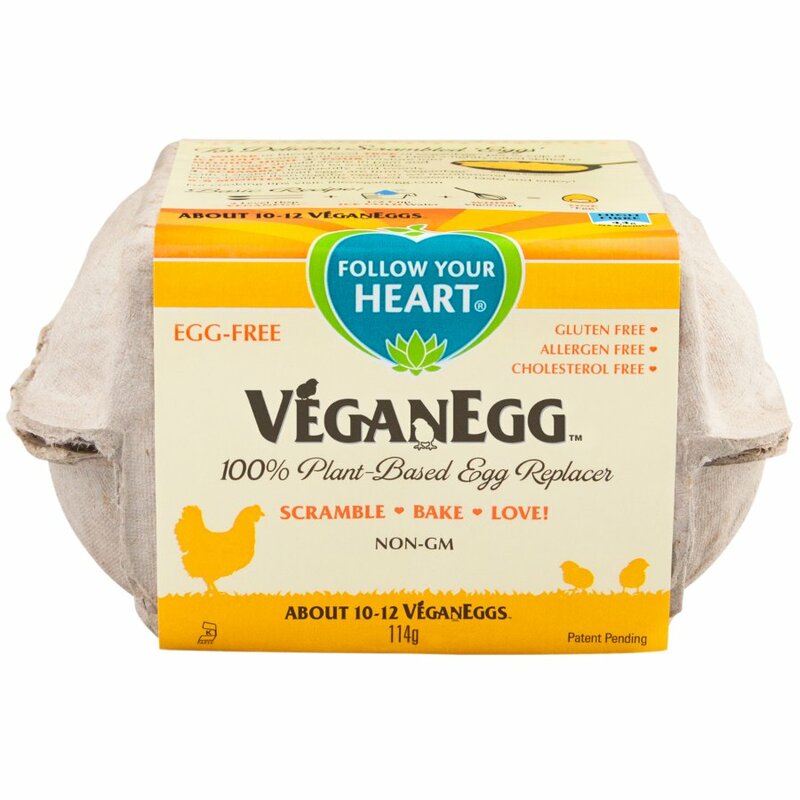 The VeganEgg - 114g product ethics are indicated below. To learn more about these product ethics and to see related products, follow the links below. One of our children is allergic to eggs and this is THE BEST egg substitute out there. Great scrambled 'Vegg', perfect omelettes and quiches etc. If you miss out egg from cakes they often dry out quickly but when you use VeganEgg the results are just like regular eggs, so you can bake great traditional cakes like parkin and Christmas cake that need to be kept to mature, and they stay moist. I thought this was a great alternative to make scrambled eggs or an omelette, just as tasty as eggs and the consistency is spot on. Took a little bit longer to cook than scrambled eggs but that wasn't really an issue. Q: Is a good substitute for the eggs in cake-making? or would rising be a problem? A: Hi, Thank you for your query. These VeganEggs are suitable for baking cakes, as well as cookies and muffins, without any issue with rising. I hop ehtat this has been helpful. Q: Does the product actually look like an egg? If yes how many ‘eggs’ are there in one container? Follow Your Heart started out in 1970 as a market and restaurant run by four friends in California. As the demand for more vegetarian food products grew, Follow Your Heart began producing their own line of all natural foods. Now the company produces dairy free products like Veganaise, Vegan Gourmet Dairy Alternatives, Follow Your Heart Salad Dressing and of course VeganEgg. As a socially and ethically responsible business, Follow Your Heart produce their goods in their own solar powered facility called Earth Island and they make every effort to incorporate the maximum conservation of resources. 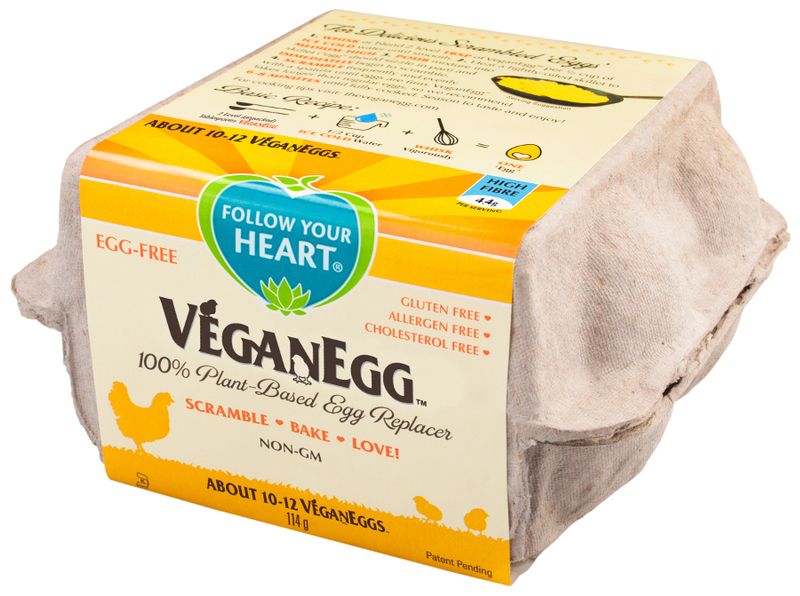 VeganEgg is a non-dairy, gluten free and cholesterol free alternative to eggs, made with whole algal flour and algal protein full of natural goodness.